I'm working this weekend. Normally when I work a weekend shift, I bring in my laptop, head on over to last.fm and start listening. Not this weekend. It's a little jaggered around the edges, but I put that down to the age of my laptop. The actual performance and sound quality is spot on and it works a treat. 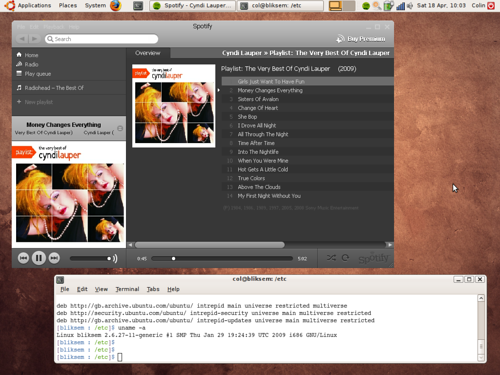 So once again, my laptop will be acting as a glorified music player for the entire weekend.